I am Jessica L Gustafson, L.Ac., an acupuncturist in St Paul, MN. My website address is: https://www.reverieacupuncture.com. If you submit a question via a contact form your email address is sent through WordPress to my zoho email address. Your email address isn’t saved in the WordPress contact form database. Please note that any information sent via email or contact form does not have HIPAA compliant encryption and it is best to submit personal information through the Acusimple patient portal. If you have an account and you log in to this site, a cookie is temporarily set to determine if your browser accepts cookies. This cookie contains no personal data and is discarded when you close your browser. I do use Google Analytics to understand where my readers are coming from. This information is anonymous. Knowing roughly where my readers are located and basic demographics help me create the content that you want to read. If you have signed up for my newsletter know that I use Mailchimp as my newsletter manager. While they do have access to your email address to allow me to send you my updates, they share the same policies regarding your policy – they will never share your information either. If you are uncomfortable with this you can unsubscribe to my newsletter at any time. ​I myself am I private individual and very protective of my information. I’m also a clinician which means that I’m a dogged protector of other people’s information as well. If you make a comment on this blog or email me I am the caretaker of that information, like I am the caretaker of my patient’s information and I will treat it with the same respect. If you make a comment on my Instagram, Facebook, or Pinterest you will be sharing your account name with my accounts. ​I use Acusimple for my patient management software. This software allows me to create invoices, take notes on your case, and contact you in an encrypted messaging system. It also allows you to schedule online and access information through the patient portal. Acusimple does have you create an account to schedule, but your information is protected according to law. If you submit your information to any contact form on this site, the information isn’t going to be sold to anyone. I am the only one who can see and respond to your messages. If you have a medical question for me keep in mind the blog on this page is a public forum. It is best to meet me in an appointment setting where your privacy can best be protected. If you do not live in the area, you can contact me privately through the contact form on the mail page or at jess@reverieacupuncture.com and I can help you find a practitioner in your area. If you submit your information to any contact form on this site, the information isn’t going to be sold to anyone. I am the only one who can see and respond to your messages. These messages are not encrypted, however. If you have a question regarding your case, please send it to me via the patient portal to ensure privacy. I do participate in the Amazon Services LLC Associates program. This is an affiliate advertising program designed to provide a small income by linking to products on Amazon.com and affiliated sites. I joined because I was already adding the products to my blog posts because I love and trust them. Rest assured that if I link to a product on Amazon, it is because it’s something I love. All posts containing affiliate links will be clearly marked. I do occasionally link to other websites. I am not responsible for those sites and they have their own privacy statements. My privacy policies do not extend to other people’s sites. Please familiarize yourself with their privacy policies and terms and conditions. These policies are subject to change. Small changes may happen without notice, but larger changes will be announced via newsletter. If you have any comments or concerns, please email me via the contact form above. No information on www.reverieacupuncture.com constitutes personalized medical advice. 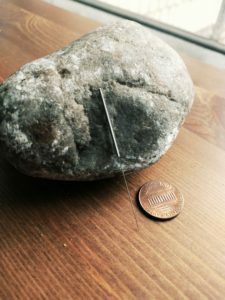 Any blog articles or downloadables on Reverie Acupuncture fall within the scope of practice of a Licensed Acupuncturist in the state of Minnesota. None of the information should ever be used in a way that conflicts with any medical diagnoses or with the recommendations of your primary care provider. If you are concerned about a current medical condition, please contact your primary care provider. Unless I have directed you here as a patient to read a specific article as homework, consult with your own acupuncturist or other medical provider before adding these things to your care plan. I am not liable for any damages that arise from an improperly managed care plan. If you would like specific and personalized advice please make an appointment, visit my walk in clinic or find a practitioner in your area. © Jessica L Gustafson and www.reverieacupuncture.com, 2017-2018. Unauthorized use and/or duplication of this material without express and written permission from this site’s author and/or owner is strictly prohibited. Excerpts and links may be used, provided that full and clear credit is given to Jessica L Gustafson and www.reverieacupuncture.com with appropriate and specific direction to the original content. I am not liable for any errors or omissions on my blog. I am also not liable for what others post in comments either on the blog or on any related social media. Any discriminatory, insulting, gross or spammy content left in comments or on any Reverie Acupuncture related social media will be deleted. While I cannot currently block commenters on the blog, I can delete posts. I also can and will block users on social media who abuse my policies. I operate my blog and business from St. Paul, MN in the United States of America. These are the laws that apply to my blog.